The purpose of this change is to add zero-copy screen capture on Linux, avoiding slow XSHM copies, and also accidentally enabling Wayland screen capture. It works by importing KMS (DRM) display framebuffer directly as GL texture, using EGL_EXT_image_dma_buf_import extension. Access to that framebuffer requires either root or CAP_SYS_ADMIN, so a helper setuid/setcap binary is used to retrieve framebuffer's fd and sendmsg() it to main OBS process. add EGL OpenGL context creation path alongside older GLX. EGL is newer and has necessary extensions for importing DMA-BUF objects as GL textures. GLX-vs-EGL is user-selectable in settings, and it defaults to GLX. add dmabuf_source plugin that imports KMS framebuffer as GL texture. It is added as a part of linux-capture module. dmabuf_source plugin opens a unix domain socket and runs the obs-drmsend utility. It enumerates currently available framebuffers, acquires their DMA-BUF fds, and sends them along with metadata to this socket (fds are sent using ancillary sendmsg data with SCM_RIGHTS flag) and exits. dmabuf_source remembers these fds and allows the user to pick from available framebuffers. Linking EGL still requires presence of libEGL.so on clients machine, even if it is not used. Not depending on libEGL requires splitting or programmatically loading (dlopen, dlsym) libEGL in glad and linux-capture. Xcomposite source is not patched to support EGL. Naming is hard. "dmabuf_source" feels weird. Common term for such functionality is "kmsgrab". xrandr/mode change wasn't tested. It will definitely break something (e.g. replace framebuffer, or change it's dimensions). cursor is supported using xcursor-xcb and kind of depends that framebuffer and X11 coordinates are aligned. It likely doesn't work on nvidia. follow CRTCs (display devices), not framebuffers. Necessary to properly support xrandr/mode changes. Requires running obs-drmsend in background, and more involved IPC. read cursor from planes, not from xcb. Will also support wayland. I will strive to update the information above as I make changes. 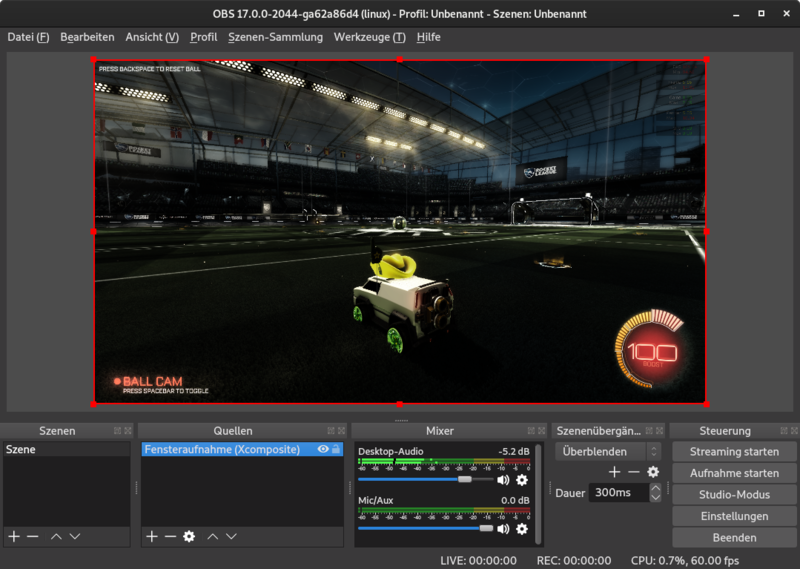 zero-copy screen grabbing and GPU encoding on Linux. decision using a separate libobs-opengl-egl.so module (or something). in the final filename manually. Basically just a copy fron w23/drmtoy repo. It is build as `obs-drmsend` executable alongside `obs`. this binary is ran from fs mounted w/o nosuid option. Hi, thanks for making this PR, I've been looking forward for a higher performance way to capture on Linux. Just to warn you, we're a bit backlogged on PRs at the moment, so it might be quite some time before we'll be able to review it. Looking forward to it though. If we really must have a suid binary to fetch the fd, then it should be authenticated via policykit IMO. That way if distros want to lock it down with a password, then they can do so, even if the default is to allow it with no need for a password. No problem. I think it will take me at least a few more weeks to clean this out of WIP status, given how little free time I have to work on this. In the meantime I'd still appreciate a high-level feedback on whether I'm doing things right or moving the system in the right way. I'll update the description with more details a bit later to give possible reviewers easier time understanding this. Thanks for the suggestion! I was scratching my head on how to approach this elevated capabilities thing, but had zero knowledge of polkit. I will have to read about it and figure out whether it supports running a binary with just one required capability, instead of full-root. I don't think so. In other wordds, the binary still has to be suid root. Have a look at the pkexec command that comes with policykit. Its like sudo in that it lets you run commands as root, but authenticated with policykit. There is no PipeWire support? Nope. While I'm fascinated by pipewire and certainly looking forward to it being stabilized, it is out of scope of this relatively conservative change. Does it support capture of game's window only? It doesn't. Moreover, in its current state it breaks existing Xcomposite support :D (on EGL, GLX mode is not affected), but I will fix that in a subsequent update before marking it as ready for review. For this particular plugin to support capture of a single game window, there should be support for that in either the game itself, or window system (X11 or Wayland). I'm not aware of any robust way around that (it's technically possible to crop a region from a full framebuffer based on X11 window rect, but that is a bit weird). I feel that more pressing is the issue of capturing a particular CRTC/monitor regardless of framebuffer/mode/rotation changes. I haven't thought about it that much. Ok. Can PipeWire solve that (like Syphon on macOS)? PipeWire is just a transport, it doesnt do anything more than send audio/video streams between two programs. Syphon is an openGL capture solution which is a very different beast. This PR is a wonderful example of how to use dmabuf's which someone could use to inform an implementation of one of the wayland screen recording protocol that sits on top of pipewire for a zero-copy capture on supporting wayland compositors (though if its actually zerocopy depends on the compositor as they may chose to serialize the textures in any format pipewire supports). One of the wayland screen capture protocols not based on pipewire. Basically all the protocols will result in passing dmabuf's (with or without pipewire) if they want to be performant. I didnt mean to derail this PR with wayland talk as its not directly related to this PR. having much better performance with this on wayland and xorg. I can get it running on Xorg though (for FreeSync), but once I go into a Fullscreen game, it seems it doesn't record anymore? The Image kinda freezes, maybe it's only a bug for me? Using Xorg from arch repos... Thanks! once I go into a Fullscreen game, it seems it doesn't record anymore? The Image kinda freezes, maybe it's only a bug for me? Using Xorg from arch repos... Thanks! This is expected at this stage. Basically, when a game goes fullscreen it changes a framebuffer that is assigned to your monitor. Currently this plugin doesn't monitor for framebuffer changes, so it continues to read the old one, which becomes stale. I plan to investigate into what can be done. We'd need to keep obs-drmsend running, somehow listening for framebuffer changes, and notifying parent obs process. There are also issues like: framebuffer can be resized, what to do with multi-monitor configurations, how to remap cursor if it is enabled, etc. How does performance compare to using XComposite for capturing your game? error: Failed to create source 'DMA-BUF source'! Changing the hardcoded card0 to card1 seems to make everything work well! For some reason EGL is having issues keeping up with 60 FPS though. OBS FPS counter always shows 58-59 with EGL and recording 60+ FPS footage results in stuttering, as if resampled to lower FPS. On wlroots-based Wayland compositors, it is possible to access framebuffer using wlr-export-dmabuf extension without any setuid helpers. but once I go into a Fullscreen game, it seems it doesn't record anymore? The Image kinda freezes, maybe it's only a bug for me? Using Xorg from arch repos... Thanks! I tried XComposite on Xorg, to make it work I had to change to GLX like you said. But the recorded picture seems to miss some colors which is strange. ONLY For games, desktop seems fine. Output file looks same like in the picture. I think the performance is better. This makes totally sense. I find it confusing though that Wayland and Xorg behave so differently there, because on Wayland it seems to get the "right" framebuffer when I open the fullscreen game. 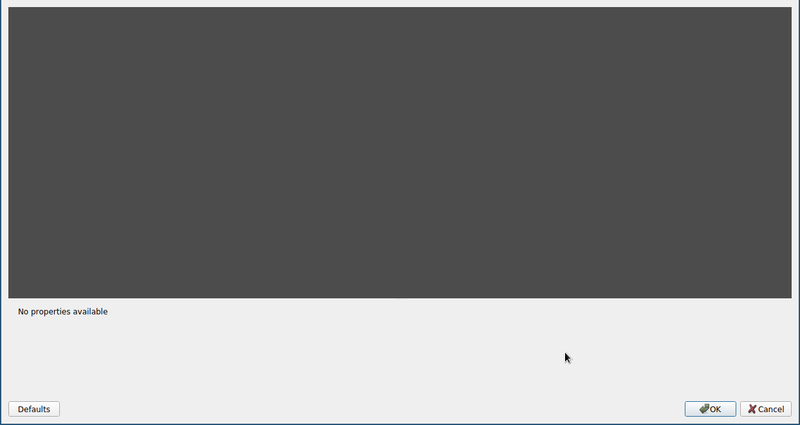 Maybe it's only a Xorg thing to reassign the framebuffer or something once fullscreen. Thanks!